And, he was! I stopped to ask him if I could take photos to post on my blog. When doing so, I walked out into the field. Just a few steps. And, after those just few steps it dawned on me that even though I was just at the edge of the field, I could still be stepping in manure, even if I avoided the big chunks. Oh well. Too late! 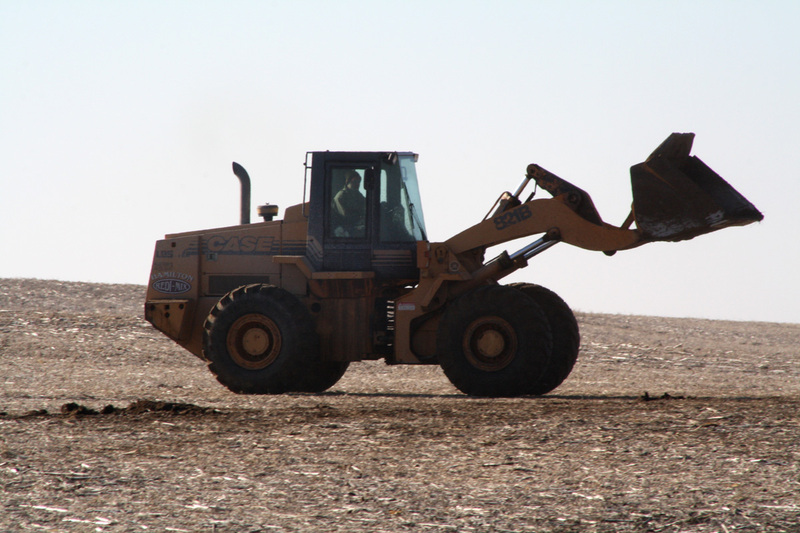 The farmer gave his permission; he also said that the manure in the pile he was spreading was “chicken manure mixed with compost.” Well…that shot my connections from the day before (i.e., the nearby cows, and the sign on the back of the guy’s pickup), but, again, oh well! I realize this might be a little anticlimactic after Part I. I had so many photos I just had to break it into two parts. Maybe to jazz it up a little we can make believe that instead of me being out and about, it was some other woman. Let’s name her Jezebelle. She’s a photographer for National Geographic. And, she drove into the driveway of the field and went out into the field to talk to the farmer. 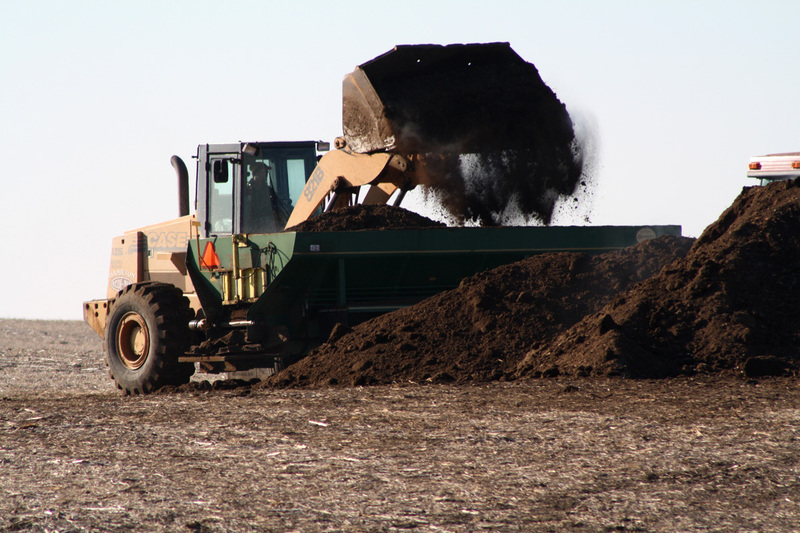 He offered her a cup of ice water from the cab of his end loader, and they developed a relationship Jezebelle would never forget, only because the manure smell stayed on her mind. Bridges of Madison County-esque! Now, I must go clean my shoes. This entry was posted on January 11, 2011 at 11:28 pm and is filed under Uncategorized. You can follow any responses to this entry through the RSS 2.0 feed. You can skip to the end and leave a response. Pinging is currently not allowed. Loved both posts. I was totally tracking with the good plot and thinking of movie Bridges before you even mentioned the name of the flick. I’m reminded of the day long ago that, due to the weather, Daddy took us to school in town – he drove a tractor that towed a cleaned out manure spreader lined with bales of hay – that we sat in. 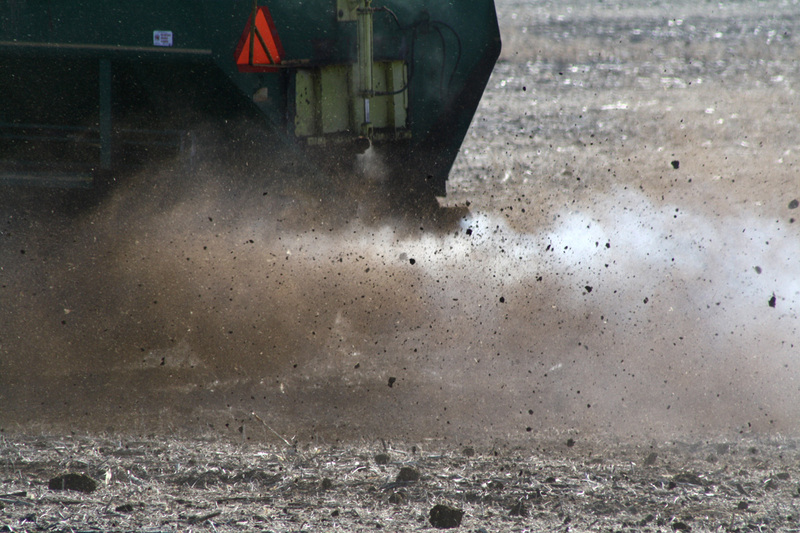 This story should be titled: Old Farmer shows City Slicker what real manure is. Marti: You probably thought of the Bridges connection even before I did. Just before I was going to click on the “publish” button, I thought the ending sounded kind of bland. It was late last night. Can I blame the ending on that? But, I did kind of like it! Glenn: Your comment makes me think of the movie City Slickers. I bet to the farmer I seemed just like a city slicker. I only vaguely remember having chickens at Gunderland. The only recollection I have of hogs at Gunderland is of Charles having them and that one of them somehow damaged Charles’ shirt or jacket. And, I remember the little droppings everywhere from the sheep! I’m so thankful that Bill and I still live in the country where we can see for miles and miles across the neighboring farmland, and thankfully do not smell manure! 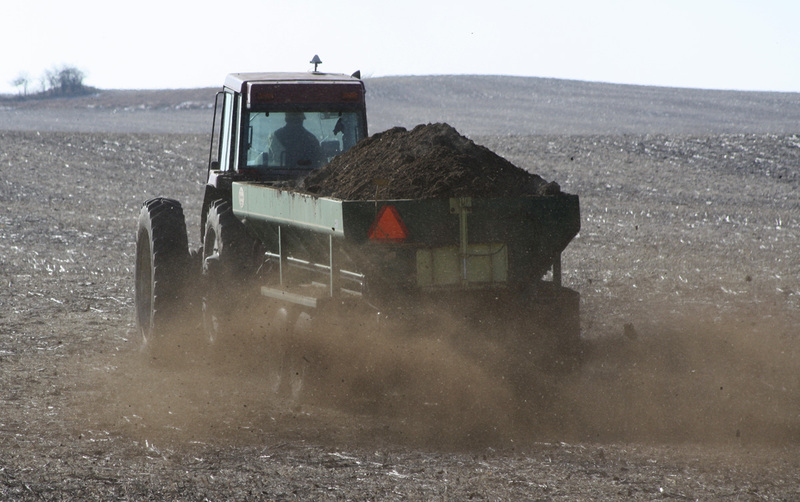 (Although I think pitching manure so many times during his youth is part of what helped Bill develop such a strong work ethic.) I DO remember picking mouse droppings out of the corn (or soybeans?) before Daddy took the grain to town!